Red Wine, Green Tea and Dark Chocolate: More trans fat intake linked to aggression and irritability. 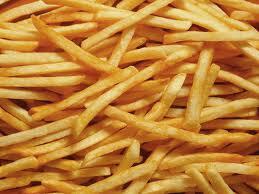 More trans fat intake linked to aggression and irritability. Yet another reason to avoid fast foods. Researchers at the University of California, San Diego School of Medicine have shown – by each of a range of measures, in men and women of all ages, in Caucasians and minorities – that consumption of dietary trans fatty acids (dTFAs) is associated with irritability and aggression. The study of nearly 1,000 men and women provides the first evidence linking dTFAs with adverse behaviors that impacted others, ranging from impatience to overt aggression. Dietary trans fatty acids are primarily products of hydrogenation, which makes unsaturated oils solid at room temperature. They are present at high levels in margarines, shortenings and prepared foods. Adverse health effects of dTFAs have been identified in lipid levels, metabolic function, insulin resistance, oxidation, inflammation, and cardiac health. Greater trans fatty acid intakes were significantly associated with greater aggression, and were more consistently predictive of aggression and irritability, across the measures tested, than the other known aggression predictors that were assessed. If the association between trans fats and aggressive behavior proves to be causal, this adds further rationale to recommendations to avoid eating trans fats, or including them in foods provided at institutions like schools and prisons, since the detrimental effects of trans fats may extend beyond the person who consumes them to affect others in that persons environment.